He's in the Retired Pool. If you open up players.dbf and search for him, you'll find that his TEAM is set to 32. Change it to 50 (the Free Agents), close DB Commander, re-load the roster in game and he'll be available to be signed. I know a fair few people are still waiting on the 2012/2013 season roster updates for NBA Live 2005, NBA Live 06, NBA Live 07 and NBA Live 08, so I wanted to give you all a quick status update. I had hoped to get the rosters out by the end of November, however that unfortunately proved to be unfeasible as a myriad of other things ultimately got in the way. I am therefore officially pushing them back at least a couple of weeks, however I am still working on them and intend to release them as soon as I possibly can. To give you an idea of the current status, there are still players to create and some ratings I’d like to update, however all players who were in the league last season are on their correct teams, years pro have been updated and everyone who wasn’t a free agent this past offseason has up to date contract information. I’ll continue to get everything up to date in that regard in between my other responsibilities, however I do need help with current art updates. 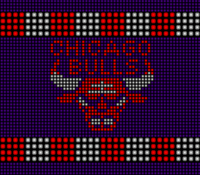 You can find a list of currently required art updates here in the Forum; please note I also need some help in converting jerseys for use with NBA Live 2005 and NBA Live 06, so if you can lend a hand there, that would also be appreciated. Thank you once again for your continued patience and understanding. I hate to have to delay the rosters further but I do have matters that are more important and therefore must take precedent. A few people have gotten a bit antsy and I do appreciate your enthusiasm for the updates, however I must ask again that I not be pestered about the release as if the rosters do become too much of a chore, I’m going to have stop doing them. I’ll try to keep you all posted on the status of the updates in the coming weeks, as I get closer to a release. I'm continuing my work on the rosters, however here are two standalone releases that will also be included in the rosters once they're out: an updated NBA team logos bootup screen with the new Charlotte Bobcats and Brooklyn Nets logos, and updated in-game logos for the Charlotte Bobcats. I released the Brooklyn Nets logo update a few months back, please see the first post in the thread for the link. Stay tuned for further updates on the rosters, their eventual release and perhaps a couple of other releases in between. Dynasty Five fantasy league are eagerly awaiting your roster release! As before, working on it. Rosters are still a work in progress, but here's another small update in the meantime: a new Real Staff update, which as the name implies updates your Dynasty Mode staff with real assistants, trainers and scouts. Sweet stuff, 'Drew. I'm eagerly awaiting the 2012/13 roster update for this so I can play with current rosters and this season's crop of rookies! Thanks, hoping it won't be too much longer. Still waiting on some art updates and trying to get things done over the holidays. Sounds good, 'Drew. Patience is a virtue. I'll be honest, I don't know how much longer I'll be doing them, they've become something of a chore. I'll do my best, though. Thanks for the updates, Andrew! I may or may not make a main page post about this, but just to give everyone an update: at this point, everyone who needs to be in the rosters has been added and it's just a matter of updating the lineups as of the day before the update goes live. All-Star and Rising Stars Challenge rosters have also been updated. Now it's just a matter of updating some ratings and salaries, getting all the art into place, polishing a few things up and putting it all together, then doing the conversions for 2005-07. In other words, right now we're on track for a release by the end of this week. A HUGE thanks to everyone who has helped out with the art so far. It's very much appreciated, the rosters are obviously coming out much later than I intended or would've liked, but your fantastic work and support has encouraged me to get it done. I still don't know whether I'll be continuing the rosters beyond this season - we'll cross that bridge in a few months time and I'll see what arrangements can be made depending on what I decide - but in the meantime, with your contributions, I'm hoping to deliver a great roster that proves to be worth the wait. Here are a couple of updates while we get closer and closer to the release of the rosters. Updated with a couple of staff changes since the initial release. 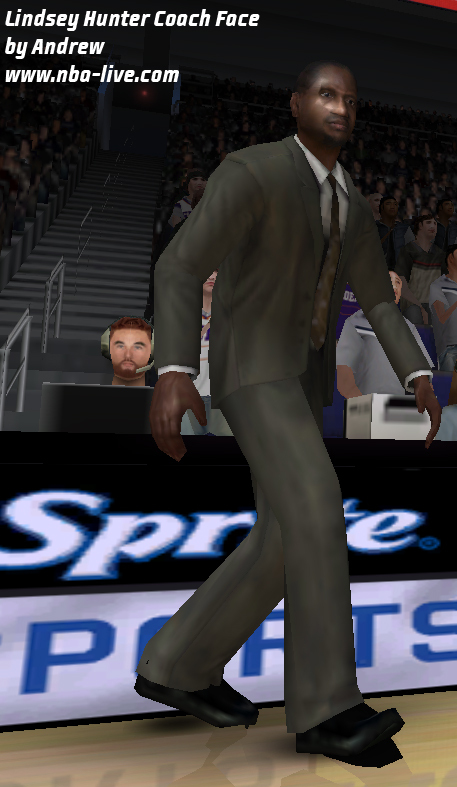 Converted from his player face for NBA Live 08. NOTE: I need to re-pack the update as I left out Mike Krzyzewski’s face. In the meantime, download this pack and extract the files to your sgsm folder. Thanks again to everyone for their patience, as well as all the talented patchers who made contributions. There will be a couple more updates for this season (the rosters are outdated by a few days at this point due to delays caused by conversions); as far as updates next season are concerned I'm still undecided, and can't make any promises, but I'll keep mulling it over and make arrangements as necessary. In any case, please enjoy the new rosters! I hope they'll be worth the wait. Yo Andrew this is pretty sweet man, we've been waiting for this. Might want to create a different thread for the newbies stopping by the boards, I love it though. Drew, I've forgotten, can I install the Full Package onto a fresh install of 06? or do i need some other stuff installed to fully grasp this update? I'd recommend a fresh install, just to be sure there aren't any loose files in sgsm causing any issues. jmoney777 wrote: Yo Andrew this is pretty sweet man, we've been waiting for this. Might want to create a different thread for the newbies stopping by the boards, I love it though. Thanks, appreciate the support. There's no real reason to create a new thread though; this one is prominent, the links are in the first post as well as my previous one and it's where I release all my stuff. I used to create separate threads for the roster releases but it's overkill these days, especially when having a single release thread is the norm. maybe i'm missing something or have extraneous files, but i don't see the new Warriors jerseys in the game (when i go to Edit Player). i've done a fresh install as well, btw. any ideas, Drew? Weird, they're definitely included and showing up fine for me. The only thing I could think of would be extra files in sgsm, so that's very strange. Fixed the issue. For some reason, the fresh install didnt get rid of old "hidden" viv and fsh files i had in the LIVE 06 folder(s) from editing stuff with DOLFFIN. Now it's good to go, though, and I've already started a dynasty with my beloved Wolves! Thanks again, Drew!